Nasrallah To Israeli PM: ‘Any More Syria strikes Could Trigger Major War’ (Eng Subs) 4.5 out of 5 based on 6 ratings. 6 user reviews. Sayyed Hassan Nasrallah is not a man of empty talk and means what he says. The Zionist scum should not overreach or they will be whacked for sure and much harder than they think. The message has been delivered to the Americunt terrorist supporters too. Do not test the tested! The jews allways wanted to attack the religious totalitarian Iran this could be the way to succeed. It would be an massacre and decimating of million of people. I ame sure the Jews prepared for this event long ago. Given the ideological islam intolerance and resitance within Iran it would turn Iran in a civil war and if not most likely in a intern- muslim world-war and finaly a atomic pulverisation. Most probable it would drag the west in, but because of the historical and obnoxious intolerance between muslims it would mostly harm the people over there in brother murder. Whatever the result it would break the whole region back to the stone age. stop getting your education from holyshit and try and keep up with the real world. What you saying is been tried twice and failed with Iran winning the scum of the earth, in both times. Do not know what you are referring to: Iran hat two victories? Year, against who etc. I only know the Irak-Iran war ( under islamic rule) and this ended in a stalemate. Well Iran did not attack Iraq just defended itself and keep its country intact. To me that is a win. Also west try to destabilize Iran internally and failed to start riots in the country. They are several forms of war. you are quickly satisfied: none of those events was a win, in the best case a stalemateresult whas obtained. Maybe that is one of the reasons your region is not succeeding to joining the rest off the educated and civilized world. But Iran is evolved from a reasonable modern society into a ideological totalitarian religious dictature, where people, women are taken hostage by some retardet zelots and old men with tunnel vision and a intolerant guide book losing the battle with reason and ratio. i do understand every body who is defencing its own country, and the fanatic orthodox jews are no good. But the islamicdictature inIran is no good either. The difference is that the reasonable peace loving population off Israel is defending off a hostile terrorist part of the country ( so called Palestine supported by other countries, and who rather buy weapons with the financial help off Europe then support their people by usefully things like educations, jobs, food, electricity etc) and that the Iran has a hostile gouvernement fighting off a reasonable population using the stupid zombie part of the population ( equal to Turkey) and only want to export this inhuman and intolerant idea around the world, equal to the Saudis. By assuming who I am and what I defend it only shows how ignorant of fact you are as well promoting israel as a peace loving people by accusing a part of your kind as short sighted. And what do you know of my region cave resident or is it a tree one? You strongly remind me of the thieve who calls for help while robbing innocents. How jewish of you. And if you knew your slave tribes history because you never manage to become a race, you knew that what you call israel was on the borders of babylonia where their slaves was residents. Palestine and Judea never been israel or ever will become, just occupied land that will soon clear of the vermin. A lot off assumptions you make. Who you are is off no concern to me ( no assumptions needed), what you defend is rather clear, no assumptionneed to be made about that! It is no assumption that all cultural, ethnic, tribe nation ore religion have inthere groupe resonable people and fanatic rather retardet hardliner. This is within Israël ( Hasidic’s) , Iran (the non educatec, religious people contraire to for example the people appearing in “mystealthyfreedom”) ,Turkey ( 50% sheaps following the self proclaimed univeristy economist and iman, would be sultan and mahdi Erdogan) , Egypte ( the Murci idiotes), US ( clinton dems ) etc… that is what we call a fact. I what sort off castle I live is not an issue, it is no cave, no tree for that mather but I ame happy to live beter and more free then the average European and ( this is no assumption but it a calculate guess ) far beter and more free then you ever will. I payed everything myself without any religios, national ore international support. I ame no jew and no jew lover, but I do not hate them and I think they own the same rights as any other person to health, freedom, safety, prosperity like the people offIranearns ( not the people rulling them), I think that there even are very nice muslims but most off them are brainwashed to intolerance. My father whas a officer in the German SS and I ame proud to be his sun, so please stop assuming and keep to the facts, I am as far away being a jew as you being rational. Have a good day. Here is something to tray to understand and think about from Johann Wolfgang Goethe “ None are more hopelessly enslaved than those who falsely believe they are free.” My thinking is free from politic, religion or msm. jew boy you write a lot of nothing and more BS. Stop wasting pixel space and take a walk. Hahahah is that what they teach you in kibbutz??? Go ask for more money from america for better education you propaganda spewing shill!! There needs to be escalation management capabilities put in place, if they aren’t already in place, so that taking down IAF planes and stopping other airstrikes with missiles and drones doesn’t result in a major war. There are limits to this with an adversary like Israel with a lot of offensive capability. But the price that the Jews need to pay for any escalation needs to be high to deter them from going that route. And intervention by the US beyond resupply also needs to be deterred. I honestly don’t think even if the US supplied 10,000 ground troops it would not make much of a difference. lets face some facts. Hezbollah won’t try to liberate all of Israel. What they would most likely do is wipe Israel anti-air and anti-missile capabilities off the map. the roads are airstrip in central and northern Israel would unusable. Power will also be knocked out. Hezbollah might take the first 2-3 lines of defense. but not much more than that. (this is far enough into northern Israel that some supply lines to Golan will be cut. Either by Hezbollah troops holding onto that part of the road, or the supply line being in range of artillery units. Effectively putting some Israeli troops under siege. This is in Hezbollah’s capabilities. This also most of Israeli land that Arabs would occupy if Hezbollah attacked Israel alone. 10,000 US troops defending the cites that the Zionist still control would do much good when Hezbollah is just launches rocket strikes. such a conflict would result the Golan being returned and DMZ more in favor to Lebanon. With a few minor political promises, with the biggest defeat being to prestige of Israeli army. This also does not threaten the “state” Israel in terms pure survival. Thus nukes might not be used. Israel will either lie (most likely) and when they use them the Jewish lobbyists will be on borrowed time as worlds leaders demand to know if the lobbyists knew that Israel had nukes. (witch they did) that then results in them being tried like the war criminals they are. the other option is Israel says they do have nukes and must sign all appropriate treaties or recognized as rouge state with nukes, this Iran would then be able to just buy a nuke or two from Russia. while everyone else buy better air defenses. this is why Israel needs to win any war it has cause if the right demands were placed, there influenced is sharply reduced. unified the parties that intends to kick the squatters into the sea, for good. so let’s hope they stay focused and do not allow themselves to be distracted. There is even a possible meeting of minds where saudi and iran are concerned, which should worry israel quite a bit. after all, both parties wish to see the end of israel and that is of a greater value than the now ongoing disagreement. The US support for Israel is the major problem. And even that has limits. The US has never directly intervened in any war between Israel and it’s neighbors beyond resupply. And is in a worse position now to do so than any time in it’s history. My view is that the way to proceed is to win the Syrian war and then to put together a regional force armed with nuclear weapons that has a UN mandate to clear the IDF and Israeli government out of the occupied territories and to police the implementation of UN and other international law resolutions that Israel has been in chronic scofflaw violation of for it’s entire history. Including the right of return. So that Israel can be voted out of existence and Palestine can be dejudified and unified as part of dejudifying the planet so that it is Jew free. And Israel, Jews , and Judaism become extinct. You started off well, by saying that while limited US support for Israel exists. And then you went off into wishful thinking. Like even a economically collapsed US would allow a UN vote to pass that would target Israel for a UN sanctioned military invasion. Even Russia, weakened under Yeltsin and basically falling apart, denied the West those resolutions over intervening in the former Yugoslavia under a UN mandate. That’s the power of the UNSC veto. You either don’t know what you’re talking about, or are peddling disinfo. The US veto has repeatedly been over ruled with UNGA Resolution 377A proceedings. And this can be done again on an as needed basis. The US veto is also weakening as US public opinion turns against Israel. As illustrated by UNSC Resolution 2334 passing with a US abstention. Which was Barack Obama’s gift to humanity. Obama got a lot of flak for that in Congress. And UNGA resolutions mean squat. Not worth the ink they are printed on. Shitloads of countries ignore those, including Russia and China. Only UNSC resolutions carry any real weight in the world. Because they carry the backing of countries that actually matter. As for US public opinion turning against Israel. We will see. But even then, even without US support, as long as Israel has nukes it will exist. And only an act of deus ex machina will remove those. Not. Going. To. Happen. Israel’s nukes can be taken away. Israel isn’t the US. It’s not capable of withstanding a regional force armed with nuclear weapons. That is capable of obliterating the IDF in 15 minutes. What is it that you don’t understand about that a UNGA Resolution 377A resolution overrules a US veto? Israel should have never been admitted to the UN in the first place and should be removed and replaced with a unified Palestine. Coulda, woulda, shoulda. It’s there, it’s going to remain, deal with it. I think the creation of Israel was one of the biggest mistakes of the 20th century, but it happened. They’re not going to go away, even if by deus ex machina the US were to withdraw its protection. They still have a massive nuclear arsenal, and as North Korea proves, a state can fall apart economically, its people starving, but it can still build a nuclear arsenal. The Israelis on the other hand already passed that stage. They already have that arsenal. All they need to do is to maintain it. They can do that without US support. Hell, that is how they built it in the first place. Best thing the Palestinians can hope for is full independence for the Gaza Strip and most of the West Bank. Anything else is wishful thinking. The framework for a regional force with a UN mandate to clear the IDF out of the occupied territories and police the implementation of all of the UN resolutions that Israel has been in violation of for it’s entire existence has already been put in place by the current Secretary General. As I’m sure that even you know. This includes the right of return. Once Israel is removed from the occupied territories. The displaced can be returned and a referendum held dissolving it and replacing it with a unified Palestine. I dont think saudis want to see israel gone and there is a serious reason why not. 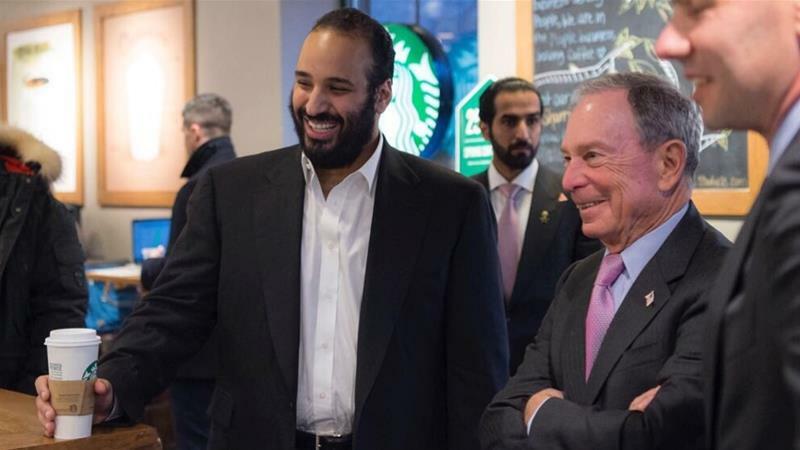 It’s suspected that the Saudi Royals are cypto-jews. If you check their facial features you’ll find it’s not that far-fetched. Who do you think has been running the whole terror operation for the Jews for the past 40 years? The Saudi toads and the Jews are joined at the hip. Literally if you believe the homosexual intel reports. I am not wrong, you are and I will not argue about it. It is not uncommon khazars and jews eliminating each other when ever the situation is favorable to one of the group. Take for example what allegedly, happen in nazi germany. Syria’s S-300/400s are dual use, they can take down aircraft and hit stationary or mobile surface targets. The Jews have no known anti ballistic missile system capable of interdicting them. The SADF and SAA in theory can take down Israel’s Iron Dome system and destroy their military assets attacking Syria. 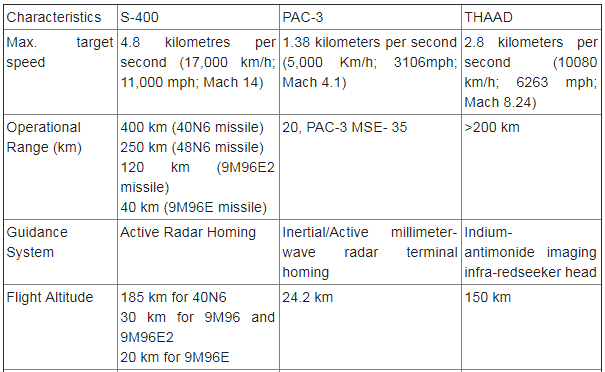 Furthermore the Arrow 3 is a superior system to the untested S400, and is capable of intercepting ICBM outside the atmosphere whereas the S400 lacks the range, fuel and speed to do so. The sheet doesn’t include Arrow 3. Also note the altitude of the S400 is far too small to intercept ICBM’s outside the atmosphere and too slow to intercept ICBM’s which are typically traveling Mach 18+ minimum on reentry. The Trident II travels Mach 24 when descending to target. You haven’t disproven anything that I’ve written while I’ve disproven what you’ve written. So who’s the failure failure? The trajectory is astronomically outside the range of the S400. You fail. Not to mention the speeds are far to great for the S400 to intercept anyways. It took me 30 seconds to debunk deeply held beliefs you have about Russian systems, all because you were too emotional and retarded to research even 2 minutes into it. What good are they when they can’t stop S-300/400s that will turn their launchers are smoking hunks of twisted steel? “Russia carried out the sixth flight test of its new anti-satellite missile system on March 26 at the Plesetsk Cosmodrome, The Diplomat has learned from U.S. defense officials with knowledge of ongoing Russian weapons development. These ICBM interceptors are admittedly useless against S-300/400s at the altitudes that they’l be used against Israel. If the S-300/400s work half as well as the Pantsirs reportedly do, which obviously work well enough to keep the IAF out of Syrian airspace. Then you can kiss the IAF and Iron Dome goodbye. That’s a lie and you know it. The IAF stopped flying missions in Syria long before the recent SADF upgrades. And according to most reports, most of the IAF ordnance launched from outside Syrian airspace gets shot down. So when the SADF starts taking down the baby rapers fighters. The IAF is going to have a tough time taking out the S-300 launchers because most of the ordnance will be intercepted. Add to that the destruction of Iron Dome and destroying the IDF sites attacking Syria will be a Turkey shoot. that you don’t understand? It’s useless for stopping the types of missiles that will take out the Iron Dome launchers, including Arrow 3 launchers. That Israel has no defense against. I’ve provided a lot of credible evidence, including what disproves your disinfo. You’ve provided zero evidence for anything. Other than that you’re a disinfo peddler spamming these threads with stupidity. The IAF and NATO getting backed out of Syrian airspace and getting their attacks from outside Syrian airspace shut down is humiliation. Of course, murdering 4 Syrians is just what humours Israelis.. Seriously.. what is it with all the cockroaches and ‘lol’… you all talk like you went to the same ‘Whoring For Israel Seminar’. Put IDF boots on the ground against HEZBOLLAH and IDF runs away. You don’t think Nasrallah doesn’t know that? There are plenty of ways to fight a war. Israhell has not seen anything yet. The Yinon plan regime change war is an epic fail with the post war force on the Golan border vastly superior to the pre war force. So who’s the loser loser? hey white supremacist scum – your views are polluting otherwise sane commentary-field(s) so why don’t you feck off and ask your mother to give you a glass of limonade and some cookies there in your basement in tel aviv. oh wait, israel is toast and all illegal squatters will be kicked far out in the med soon so you’re well advised to ask your mom to send you to swim school! on the other hand if some white supremacist scum can’t swim no great loss to mankind. Acting like an illegitimate scum-state by illegally firing missiles into Syria whilst illegally flying over Lebanese airspace is hardly something to be proud of. Any country with a jet & missile can do the same thing.. but only Israel has the arrogance. .. and neither Russia nor Iran feel humiliated. If anything, given that Israel has had its entire Middle East plans rolled up and shoved up its orifice, I think it’s fair to say that Israel is the one who feels humiliated. Is that not what you cockroaches are tasked with covering up?? “Maybe next time we’ll respond for real” Jeez, this is now becoming epidemic in the Levant. Has Sergei Lavrov been teaching some pan-Arab masterclass? Who was it that cited that timeless wisdom the other day: “When you gotta shoot, shoot; don’t talk.” In fact, is it Hezbollah’s place to retaliate, wouldn’t that only look as feeble Syria unable to stand up for itself. All this should’ve been sorted out years ago, indulging these deadly strikes has only built up the Israeli sense of impunity. Hezbollah did sort it out years ago.. 2006 to be precise. As for ‘Israeli sense of impunity’… Only thing that has been built up is Israel’s arrogance. The UK isn’t the only country where objections have been raised. Citizens in Portugal, Ireland, Iceland, Australia and Sweden have also called for Eurovision boycotts.